I've started this blog to post something vaguely creative (almost) every day. I have exams coming up and there's a real danger of me paying far too much attention to my degree, so to ensure that I don't make that sort of mistake I'll be doing this for a while. I make no promises about quality, impressiveness, inventiveness, consistency... but I will try to post something as often as I can. 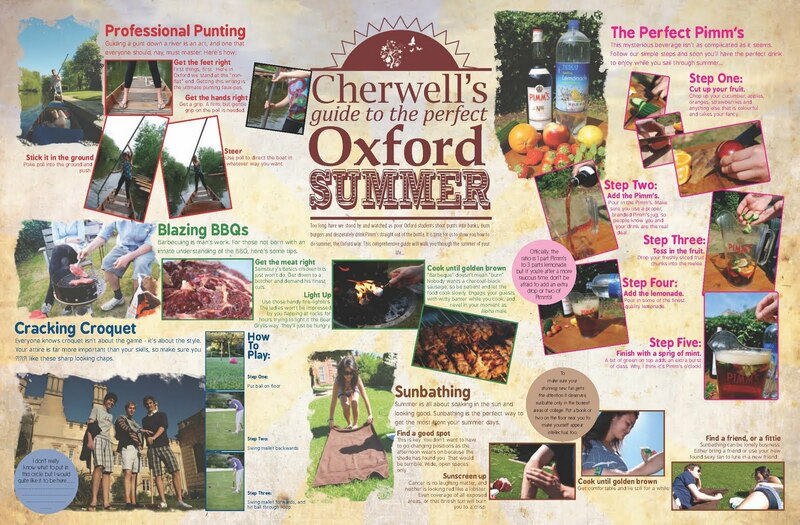 For today, I'll share the centrespread from this week's Cherwell. I'm an assistant editor on the paper and each week, among various other visual things, I usually design the double spread in the middle of the paper. 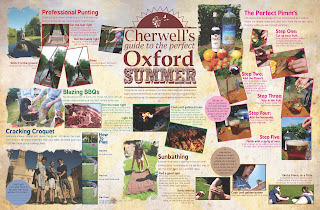 This week: The Oxford Summer.